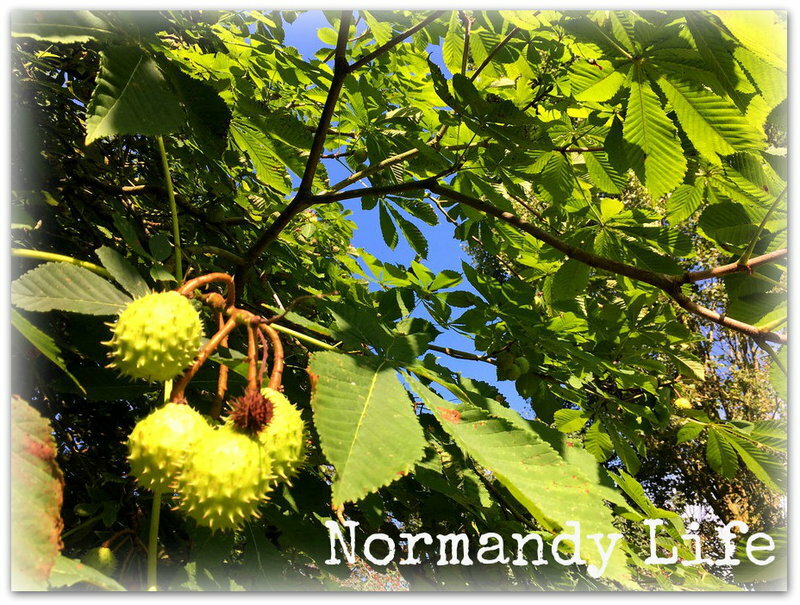 Normandy Life: Fall On Your Knees - Ann-Marie MacDonald. Fall On Your Knees - Ann-Marie MacDonald. This month the What We're Reading gathering is being hosted by Bonnie @ The Boatwright Family blog. If like me you love to read and are always looking for good book recommendatiions then this is a place you should check out too. Last week I received a parcel from my dear blogger friend Pondside. In it were two books which she thought I would enjoy reading. 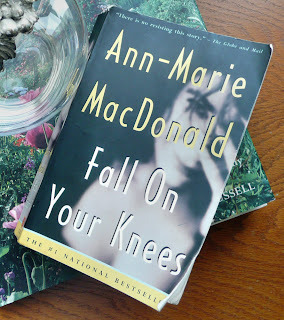 Fall On You Knees and The Way the Crow Flies by Canadian author Ann-Marie MacDonald. Fall On You Knees became an International Bestseller shortly after it was published in 1997, winning The Commonwealth Prize For Best First Fiction, The CAA Harlequin Literary Award for Fiction and the Dartmouth Award. It was also shortlisted for several other prestigious awards, including the British Orange Prize for Best Novel by a woman writer. Oprah Winfrey picked it for her Book Club. The question I’m asking myself is……………how did I not know about this book before receiving it from Pondside? Fall On Your Knees is undoubtedly THE best book that I have read in many a long year, and I do read a lot of books. The story is a familiar one…………… a family. Its secrets, its memories and its history. Each character has a story to tell. Some of them begin with such promise that you can’t bear it when their journey is cut short, either through their own destructive behaviour or that of a family member. Others overcome adversity to find love, shelter and safety elsewhere, at least for a while. Set in the Cape Breton town of New Waterford the compelling saga begins at the closing of the 19th century with James Piper, his Lebanese wife Materia and their daughters. First born Kathleen, destined to become a world famous Opera singer. Mercedes - never without her opal rosary and devoted to her sister, Frances. Frances - who knew she was the bad Piper sister even at five years of age. The journey ends in NYC in the 1960’s with the last of the Piper girls - Lily. "An old fashioned epic full of plot twists. The story leaps gracefully across generations, national borders, and cultural standards regarding race, class and sexual orientation”. The London Times review had this to say…………..
"The uniqueness of MacDonald’s voice, and of her approach, lies in her ability to distill." All I can add is that if you don’t read any other book this year, you have to read Fall On Your Knees! I hadn't heard of this one, I shall check it out. Calling by from the Reading Linky Party, how lovely to meet another expat. I have never heard of this book either, but it must be good if it kept you from doing other things. Pondside introduced me to this book and honestly I was haunted by the characters for weeks. It was as if I'd grown so close with each of the characters so that when the book ended, I couldn't stop thinking about them. I read a lot too and I have never heard of this book. I shall be checking it out momentarily. I try to do my chores and errands in the morning and read in the afternoon! Have a wonder Easter weekend. I am looking for books to buy and bring back to Holland with menext month. I have a Barnes and Noble Bookstore nearby. I love to read and this one sounds great. My suitcase will be full of books, shoes and condiments for cooking I can't find in Zeeland. Hi Maggie, thank you for joining us at our monthly "What We're Reading" Linky Party. This book sounds like one I would really like. Going on my 'to read' list! Hi Maggie. My husband and I will be in Normandy on May 5-6. We are really looking forward to our visit. This book looks great. Maggie - I read this book many years ago and couldn't put it down either. Your review brought back to mind the characters but I think it's time I re- read it. Ann-Marie hosts a TV documentary series "The Doc Zone" and it's a fascinating in depth look at current topics.